This paper contains a study on the vibration effects the human body. Vibrations may cause more or less serious health effects in humans. It shows to entire human body or exposure to hand-arm system and over them the vibrations caused health disorders. This article presents the importance analysis of the noises and the vibrations produced by the buses or trucks and the methods that can reduce them. The paper contains theoretical substantiation for machines and equipment troubleshooting, machine bodies in rotational motion. It analyses the dynamic rotary machines, fitted with elastic rotor in rigid bearings without damping, as well as the rotor symmetrically rotational movement with the elastic bearings without depreciation. The present paper will be a presentation of one possible method of driving mechanical impedance determination. Exposure to harmful vibrations can lead to damages of the structures and health problems or disorders that can appear at the human body. The knowledge of the structures and human body mechanical impedance is essential for realizing appropriate administrative, technical and medical prevention measures. The natural frequencies of double-clamped beams are influenced by environmental conditions and operational loads. For instance the temperature induces axial loads due to restraint displacements, which lead after a critical temperature increase to buckling. This paper clarifies the effect of external loads on the natural frequencies of beams. Existing industrial steel structures, and especially those we use in the steel industry, for whom the normal operation age is approaching completion, are affected by the phenomena of cold-hardening and aging of steel. Depending on the size tension (unit stress) and the period of running, this paper is intended to adopt a different coefficient of longitudinal elasticity corresponding to components of the resistance structure. This article aims to confirm the results obtained using the finite element method to simulate the compression on a freight wagon buffers discovered by high walls Comparing the numerical results with experimental results obtained with the method of resistive electric tensometry. The compression test of the bearing balls is not included in the category of classic methods this is regulated by normative like (STAS or ISO). They appear as a necessity where developed and manufactured various kinds of bearings. In this perspective the paper presents the concept of a specialized device for applying a compressive force to the bearing balls of different sizes, and some half-ball. This makes it possible experimental research of the state of stress and strain that occurs in ball bearing in compression during operation using various methods like: electric resistive strain and/or photo elasticity (fotostress). The authors of the contribution analyse several types of the specimens, involved in the adhesives’ testing protocol. Based on the results of the Finite Element analysis, respectively of the experimental investigations ones, by means of Holographic Interferometry, they suggest a new type of specimen, which assures a more accurate evaluation of the pure shear effect in the adhesive layer. Also, their original testing stand destined to Holographic Interferometry investigations, described in an earlier contribution, can be efficiently involved in this new type of investigation of the adhesives. The most critical issue consists of the high-accuracy determining of the shear strength of the adhesive layer, without the bending’s additional effect. The proposed methodology and type of the specimen offer the adequate answer. The author’s further goal consists in involving this new approach in different kind of adhesives’ examination. The objective of this paper is to present the analysis of constructive solutions for protective barriers shock devices that use elastic elements, more efficient than normal operations designed to handle and mitigate some of the energy developed when the shock. These are in the form of concentrated damping systems mounted clamping area of the parapet of the tower. This paper presents a theoretical mechanism for the formation of mechanical stresses in aluminium alloy castings EN AC-Al Si7Mg0,3 and the computational analysis of residual mechanical stresses in case of cylindrical parts, moulded from a mixture of green sand and of cast iron. We present a comparison of the values mechanical residual stresses obtained by free and braked shrinkage for this alloy casting. Part II of the paper presents a brief history of rail transport, exposure of the first steam locomotive that circulated in our country and characteristics. In Part II of the paper presents a study and proposals for repair of the boiler of the locomotive. It analyzes the phenomena occurring inside the boiler during operation. The purpose of repairing steam locomotives is to be played recreational circuits in different geographical areas. The paper presents the analysis of displacement to a structure in an circular arc. Displacements of free ends of the structure were analysed in dependence of the position of the anchorage. The paper presents the program CRDEF-GGA-06 created by the author which calculates the reactions axial forces, bending moment respectively shear diagrams for straight static determinate beams. The program CRDEF-GGA-06 is an application of MathCAD software. The lifting of the load at a certain height, its stop with a waiting of a 5 s, the descent of the load with a delay of 5 s, the descent of the load with its halt and waiting of approximately 5 s, leads to a certain load of the structure of the portal crane. Therefore one establishes that in the structure of the main beam appear compelled oscillations. In the frequency spectrum of the induced oscillatory motion, the main weight is that of the oscillation whose frequency is equal to the force in the driving cable; one establishes that the Eigen frequencies of the whole structure – the portal crane as a whole, are excited, too. Hence, the approach performed by the authors in the following study: a favourable working of the crane means that the Eigen frequencies of the structure as a whole must be outside the frequency field of the excitation forces, main beam: the state of stress and deformation under static and dynamic load. Because of the specific nature of the cranes’ activities, these ones have to accomplish a lot of norms concerning the security and labour protection. At the working beginning but also recurrently, the cranes are subjected to a test set in order to check the technical state with a view to the authorization. The verifications are performed by specializes departments and involve the following steps: ▪ the check of the main elements; ▪ tests of loads; ▪ tests under static and dynamic load; ▪ other tests which have in view the whole behavior of the crane. With a view to the authorization all the tests are compulsory but the present paper presents the analysis of the main beam under the action of external loads. In the current activity one established that the imposed check in order to authorize the cranes are necessary but not enough to ensure those working safety. The present paper makes an important analysis of the main beam: the state of stress and deformation under static and dynamic load. In this paper are presented aspects from the technical, didactical and scientifically activity of the most representative personality of the domain of Strength of Materials which even today constitutes a beacon in the development of this engineering domain. Navier has extremely important contributions to the substantiation of the Theory of Elasticity and the development of the Strength of Materials. By theoretical and practical research Navier established the basis for the calculations for resistance and rigidity of straight or curved bars, statically determinate or statically indeterminate. For plane plates Navier established the differential equation of the median deformed and studied behaviour for vibrations. Primary Heat Transport Gland Seal Cooling System scope is to provide a high pressure D2O cooling flow to the primary heat transport pumps seals. The system safety function is to maintain PHT pressure boundary integrity and to prevent radioactivity releases. This paper presents an approach to estimate the maximum flow calculation and the time distribution analyse for different rivers from Romania. In the paper presents the results of measurements of the tailrace of the hydroelectric power Șugag underground HPP (high head cents) to determine the maximum power that can be achieved with the safe operation of the plant by Şugag HPP capacity transport manifold run it. The paper presents how to perform monitoring and protection system for monitoring water levels in tailrace. This paper presents one of the numerical methods that integrate the Navier-Stokes equations, namely the method of finite differences, in order to determine the flowing through a tank and the contracted section of the liquid passing through an orifice. This paper presents main theoretical considerations regarding the strength calculation and the deformations of the horizontal axial turbine runner chambers – upstream bulb. The most suitable functional and constructive solutions – for those bulb turbines which designed at Hydro-Engineering, the runner chamber has the lower half embedded in the concrete, and the upper half of this is fixed through a bolted threaded connection and threaded studs. The strength calculation of the deformations is made only for the upper half of the runner chamber. The paper presents a model of butterfly valve designed to perform experimental research in the laboratory to determine the functional parameters of industrial (prototype) butterfly valve. The model is designed considering the Froude similarity criterion based on the geometric dimensions and the design of the prototype valve having a nominal diameter of 4.9 m and operates at a pressure of 17.1 bar. The paper presents adaptations designed model can be mounted on the test bench for hydraulic turbines and experimental research can be obtained putting in optimal conditions. The paper presents experimental research performed on a model of butterfly valve in the test stand of the testing laboratory to determine the functional parameters of a prototype butterfly valves ND 4900 mm who operating at a pressure NP17 bar. The valve model is designed and executed based on design and the size butterfly valve prototype applying Froude similarity criterion. It is presented the test stand and the experimental research results obtained regarding to determining the hydraulic resistance coefficient and consequently the flow coefficient and the determination of forces and moment coefficients, the coefficient of cavitation and vibration level. The paper presents the optimization of butterfly valve disc shape to obtain hydraulic resistance coefficient 0.07 by numerical methods and by experimental measurements realized in Hydro-Engineering Co. Reşiţa. It is presented the test stand, the optimized butterfly valve disc model which measurements were made and the results of model tests. The results of model tests conducted by similarity criterion for butterfly valve with nominal diameter 4900 mm and nominal pressure of 170 mwc consists of determining the hydraulic resistance coefficient and consequently the flow coefficient and the determination of forces and moment coefficients, the coefficient of cavitation and vibration level. This paper presents an analysis on vibration measurements performed on Francis turbines. Absolute vibration measurements on draft cone tube and proximate measurements on shaft were presented with respect to low frequency phenomena. The present paper propose an analysis of the rotation around an axis effect of the runner blades that compound the fast Francis turbines in order to increase their energo-cavitational performances. First step was done after the analysis of the runner which resulted from the calculations and hydro-dynamic design. This analysis was performed both theoretically using the finite element software package called CFX Blade Gen, and through experiment within the Test Laboratory for Hydraulic Turbines from Hydro-Engineering. Second step of the research consisted in rotating the blade around the axis with a certain angle in order to increase the absorbed flow, holding the rim and the ring from the initial blade. Rotating was performed in different angles by making the finite element analysis for all the rotating angles. In order to improve the cavitational component it was proposed and realized an extension of the blade with an appropriate covering degree, without any visible effect over the energetic features, these being maintained within the permitted error range that admitted by the IEC 60193 code. In this article is presented the effect of cavitation applied to the suction cones that equip Francis turbines of HPP Motru. Cavitation erosion is evaluated through in-situ measurements are processed and presented in a new way in this article. It was determined a correlation between various regimes of functioning and the cavitation erosion appeared on the suction cones. Also experimentally was determined optimal maintenance period considering the cavitation attack intensity. verified for large and medium flow and water falling. 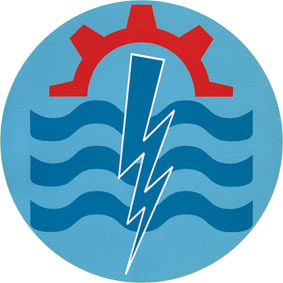 – Protection hydropower group to failures, defects or on the electric or hydraulic side. The interfacial tension against water is a polar soluble contaminants detection and degradation products . This feature is changing fast enough oil to trade vessels iniţial.Determinarea stage is commonly applied oils filled with insulating oil equipment in operation. Subject reinforced composite materials are extensively investigated in recent years. This study is deepened to improve the structural and dielectric characteristics of diglycidyl ether of bisphenol A (DEGBE). Dielectric properties were analysed for each batch of material. Microcompozite epoxy samples with good dispersion of nano – particles laden epoxy matrix was prepared and experienced for the dielectric constant (C) , resistance (R ) and impedance (Z) frequency (1kHz, 10kHz) . Measurements were made using a dielectric spectoscropia plateau temperature range of between 20-80 °C . The better dielectric properties of the material corresponding to the nano – fillers in a concentration of 30 % . In this paper we present a mathematical proof of additional losses in the electrical energy transmission line due to superior harmonics. The proof is based on the Cauchy – Buniakovski – Schwarz inequality, a very important inequality in mathematics. Was considered a simplified model, but the obtained result generalizes to complex electrical circuits. At the beginning of the paper there was a more general overwiev of the issue of technological losses in power transmission line. Finally, we draw the conclusions and we indicate the references. Corona discharge around power lines leads to line parameter alternation as an electric charge is formed around the wires. In transient states, such alternations result in faster damping of oscillations while in steady regime lead to additional energy losses. The paper treats the physical Corona modelling and the analytical transients process of voltages and currents on the proposed model. The paper present the properly designed for Corona model required to produce reasonably close modelling of electric power losses on very high electric lines. Corona modelling has been approached by means of analogue physical or mathematical modelling is treated herewith. Understanding the phenomena that are specific electrical biosystems, the existence of specialized cells for detecting, measuring and storing electricity, which enable these phenomena. Finding sources of electricity inspired by natural model, but other research direction as the electric discharge and electrical insulation. With the technical model, visualizing electrical discharges of different voltages and currents, check some assumptions-assumptions to an embodiment of the primary data.